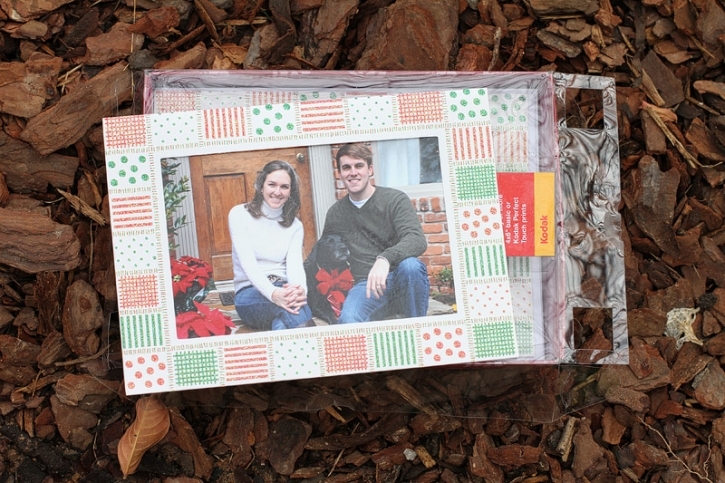 I love photo greeting cards at Christmas, I always have! Even when I was young I loved looking at all the photo greeting cards that my parents would get in the mail. I loved seeing old friends and the pets that were included. A letter explaining all that the family had accomplished in the year was nice, but the photo was my favorite. And, through the years, those photos would live on the fridge many months past the Holiday Season. Sure…I am a photographer, of course I love the photos. But, I have visited many homes over the years that have displayed the photos from greeting cards all year long. In starting my own family, I wanted to do the same. I wanted to share some ideas with you all on where to grab some cute Photo Christmas Cards, all of these have been great experiences, just make sure you heed warning to shipping dates, etc. 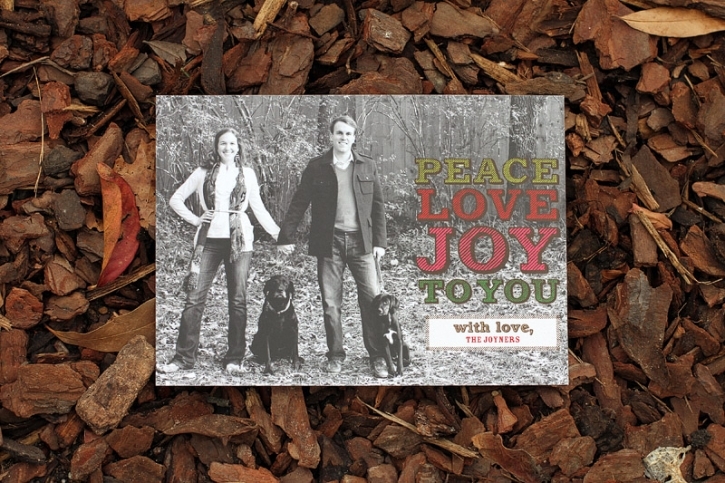 For our first and second year of marriage I saved a few bucks and shopped Holiday sales for discounted cards. Let’s be honest, budgets are tight in those first few years…heck, they still are! For the card above, I shopped Target sales and used the coupons on the boxes for prints in the store. They were ready next day and even though I waited until last minute I still got a deal and cards went out on time! Last year I used TinyPrints for our cards. They have lots of cute designs, and I fell in love with the b&w photo used above. And this year…drum roll please…..
Ta-Dah! 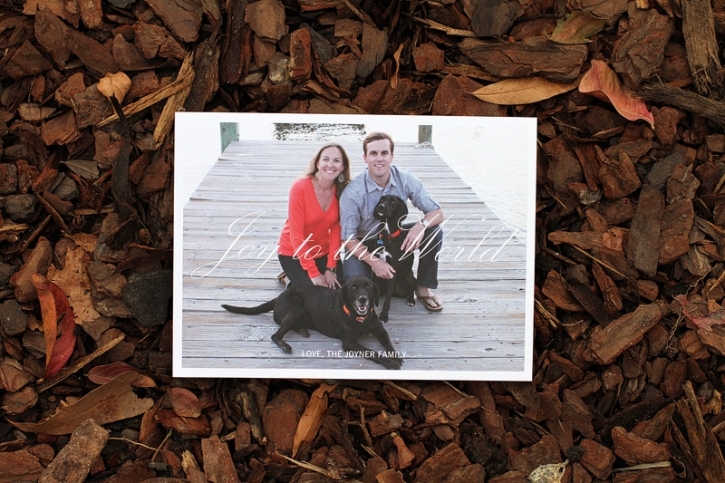 Pinhole Press has created our Christmas Card for this year!!! I am in love! They did a wonderful job, and I am so pleased with their customer service. They offer a wide variety of “beautifully simple photo gifts” and I am adding them to my wish list this year!